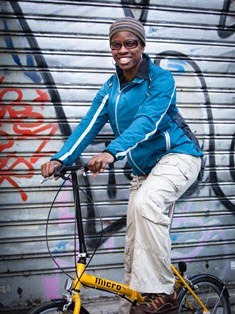 2Wheel Chick: Our dear anti-cycling Minister for Transport! With the post-Brexit vote government reshuffle following Mrs May becoming Prime Minister we now have Chris Grayling as the Secretary of State for Transport (Minister for Transport). He's only been in the job since July, but in his short tenure he has managed to offend a lot of people including workers and users of Southern Rail, but also the seven million people who ride bikes in this country by showing his anti-cycling tendencies. Previous transport ministers like Justine Greening and Philip Hammond at least tried to look like they were interested in improving cycling facilities and made the odd perfunctory speech about being pro-cycling, or were seen riding a bike. But not dear Chris Grayling. He seems to quite happily make remarks that show more than a passing contempt for cyclists. Back in December he stated that the London Cycle Superhighways were badly constructed and wet up in a way that cause problems for other road users. By "other road users" he meant motorists! Then recently, during a Transport Secretary Questions session, in response to a question from a Member of Parliament, he claimed that cyclists do not count as road users! In the period between him making these two remarks Grayling even doored a cyclist while getting out of his ministerial car, causing him to crash into a lamp post. I guess that was his way of secretly executing his plan to drive these "non-road users" off the road! The footage, which was filmed by another passing cyclist, shows Grayling and his private secretary helping the poor guy, Jaiqi Liu get back on his feet immediately after carrying out the careless act, and Grayling even apologises to the cyclist, checks he's okay and shakes hands with him. All very honorable. However, note that the Secretary of State did not leave his details so that the cyclist could make a claim for the damage to his bike or any possible injury he suffered. 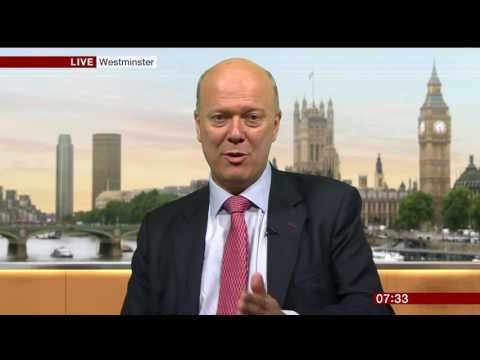 And given that Grayling is also a former Minister for Justice (Lord Chancellor) he should've known how the law works! Luckily for him, the cyclist involved in the incident decided not to pursued a claim against the Transport Minister. The irony of this incident is that it took place shortly after a meeting of the All Party Parliamentary Cycling Group in which the Members of Parliament highlighted a need to give cyclists more space on the road! So our transport secretary is definitely has a lot of back pedalling to do when it comes to his relationship with the cycling community. This does not bode well for the future either, when government is trying to achieve its objective of doubling the amount of cycling journeys made in the UK between now and 2025. In an attempt to appease matters Chris Boardman, British Cycling's policy advisor and an Olympic cycling champion, invited Grayling to go on a bike ride with him through London so that he could get an understanding of what it really is like for cyclist, and also to show how useful the new Cycle Superhighways are. In fact, the petition proposing this bicycle ride was rejected by the Department for Transport on the grounds that cycling is not a matter for the department of transport, and that the decision to go on a bicycle ride is a personal decision for the Minister for Transport as an individual and not for the Government or Parliament as a whole. Given that 54-year old Grayling, who has also been the Shadow Transport Minister, doesn't cycle and hasn't ridden a bike since his student days at Cambridge University it is unlikely that he will accept Chris Boardman's invitation any time soon. Thankfully, Transport for London and transport in other towns falls under the jurisdiction of local rather than central government. So plans that are currently in place for cyclists are not in jeopardy. However, moving forward, there could well be troubles ahead since local government receives its funding from central government so reduced budgets could mean that plans to improve cycling facilities for cyclists in this country could soon be stopped in their tracks. Chris Boardman described the Secretary of State for Transport's recent remarks about cyclists not being road users as "embarrassing". I just think it's shameful that in this country the government spends less than £1 per head on cycling, where countries like the Netherlands and Denmark the figure is more than £20. I hope Chris Grayling does eventually take up Chris Boardman's invitation to go on a bike ride.